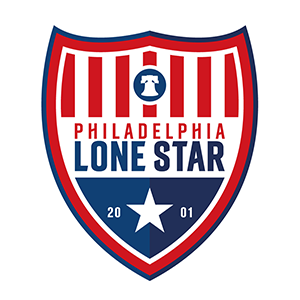 Match Report: JLSFC-Liberia Held to a 1-1 Draw by Ford FC | Philadelphia Lone Star F.C. MONROVIA, Liberia – Darlington Zeegar struck from the penalty spot as our Stars in Liberia had to come from behind to earn a 1-1 draw against Ford FC at the TUSA Field. Forkpah Mulbah had a chance to put the Stars ahead in the 13th minute but he missed from close range. Ford FC also had a chance to open the scoring but defender Theophilus Monhin was on hand to clear the ball off his goal line. After a goal-less first half, Ford FC took the lead in the 56th minute. That lead didn’t last too long as the Stars in Liberia were given a penalty in the 63rd minute after Evan Teah was fouled in the box. Darlington Zeegar stepped up and easily dispatched the ball at the back of the net for the equalizer. The game opened up but both sides couldn’t capitalize for a win and had to make do with the 1-1 score line. JLSFC-Liberia return to league action next Friday, September 28 against Samira FC. Kickoff from the TUSA Field is scheduled for 12 p.m. GMT (8 a.m. EST).